There are very few magicians on North American television other than Chris Angel. Fortunately one of the French stations in Canada, TV5 in Quebec, has a program that comes from Paris once a month called "Le Plus Grand Cabaret Du Monde" that translated means "The Biggest Cabaret in the World." If you speak French, I don't, go directly to that link otherwise Google it and then press translate to open it up. Those of you in the US that do get Canadian television may get a chance to see the show. There is a lot of talking between acts but the acts mostly are done to music so that it doesn't distract you from the performance. As well as about 5 or 6 magicians there are occasionally quick-change artists, acrobats, and jugglers, this is cabaret. You can also type in Le Plus Grand Cabaret Du Monde on youtube to view individual acts. I love stage magicians. I used to do magic when I was a kid but soon realized that what I liked was the look of the apparatus. The antique magic apparatus is beautifully crafted from turned brass, wood, and richly detailed. Modern magic equipment by comparison can tend to be a little tacky when it comes to quality. 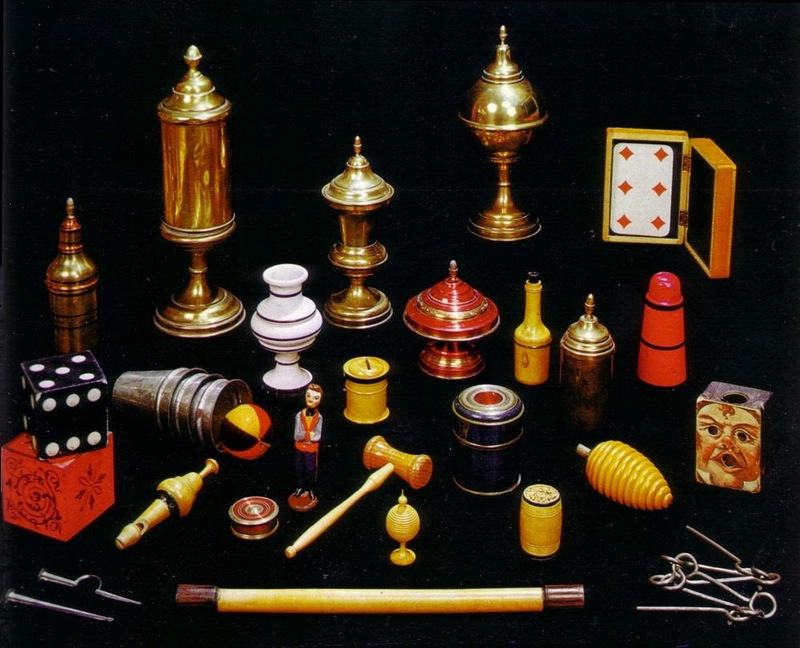 The first three images of Victorian magic apparatus for young boys, is from "The Golden Age of Toys", published in 1967. 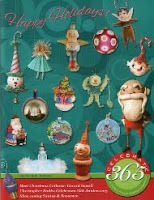 I have gone through books and magazines but don't have that much in the way of illustrations. Unfortunately most of it was given away years ago. When I was looking on the Internet I came across a site that mentioned that the Library of Congress in the US had a magic poster collection. The rest of the images are from their collection. 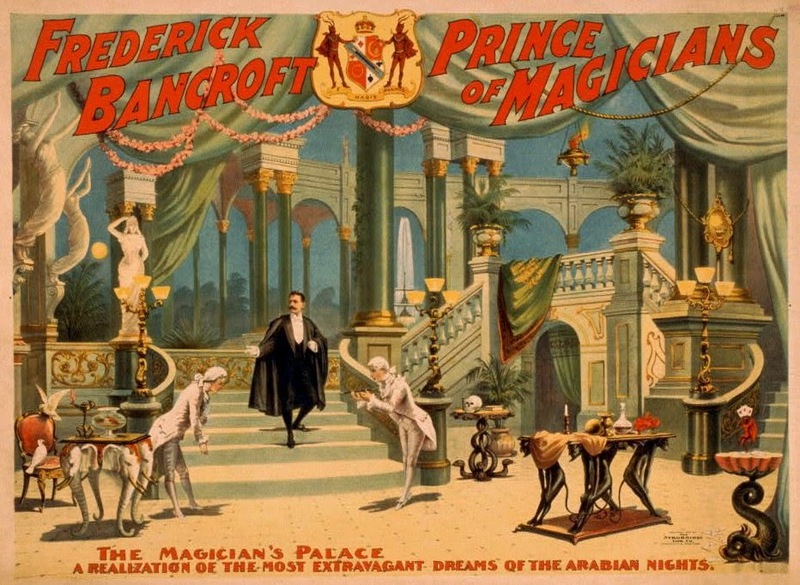 This poster depicts the stage setting for "The Magician's Palace - a Realization of the Most Extravagant Dreams of the Arabian Nights." 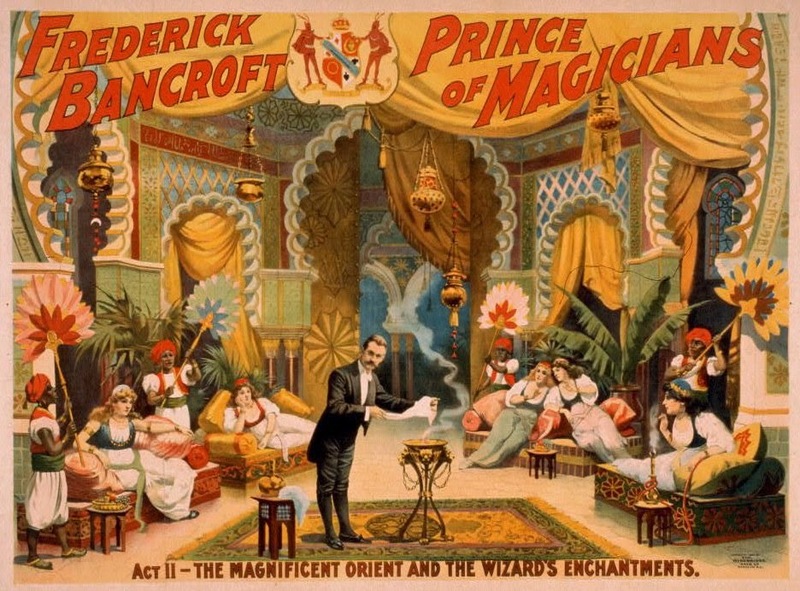 This poster is "Act 2 - The Magnificent Orient and the Wizards Enchantments." 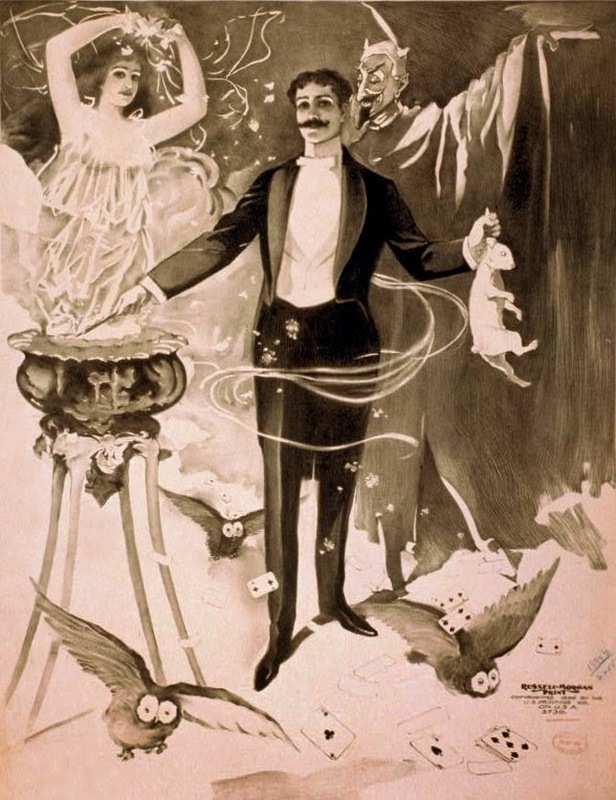 Few magicians can afford to put on such an extravagant show as the magicians from the early part of the 20th century. The cost of support staff let alone the props and the illusions is not cost effective in todays economy. I love these tables and wondrous "objects of magical purpose". Nowadays people would just look at them and know that they are mechanical. 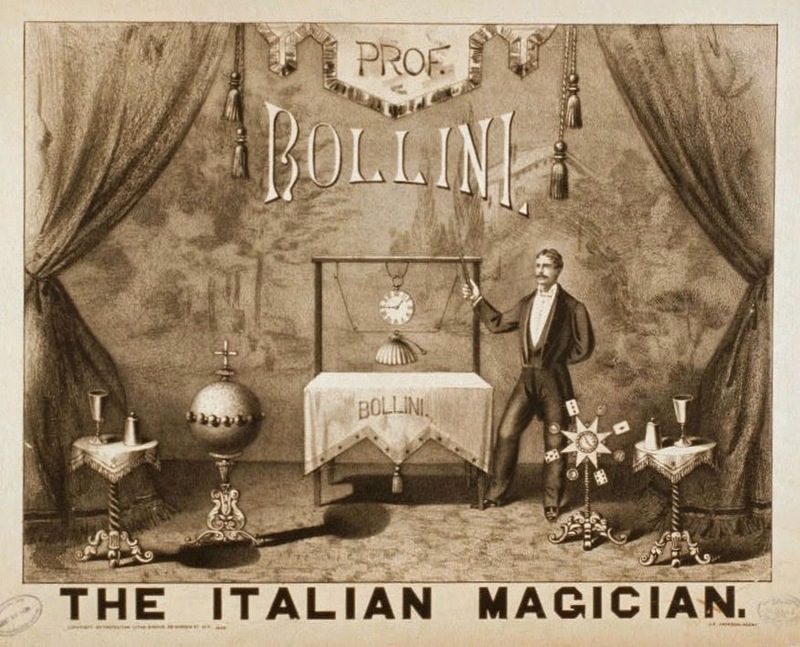 The modern public is different in respect to knowledge about the mechanical workings of everyday life but are no different in that they want to believe that what the magician is accomplishing in front of their eyes is in fact real. This illustration is of a magician producing owls, cards, a rabbit, and a woman from a miraculous bowl. 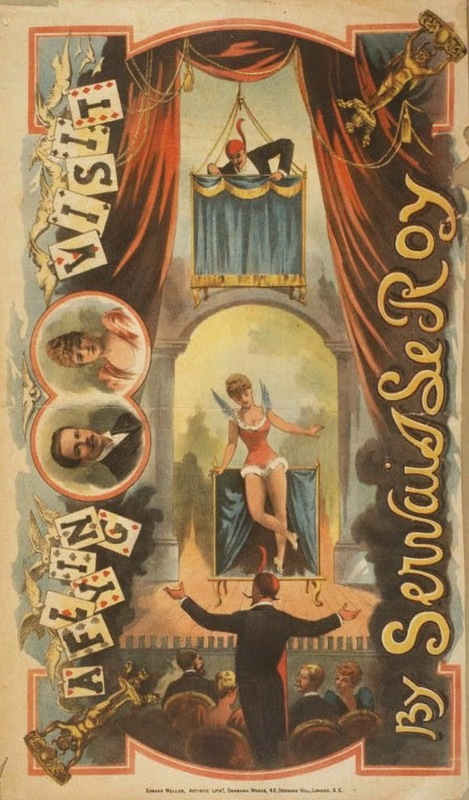 This poster shows an illusion performed by Servais le Roy called "A Flying Visit." Teleportation is one of the illusions performed in various guises by magicians throughout history. 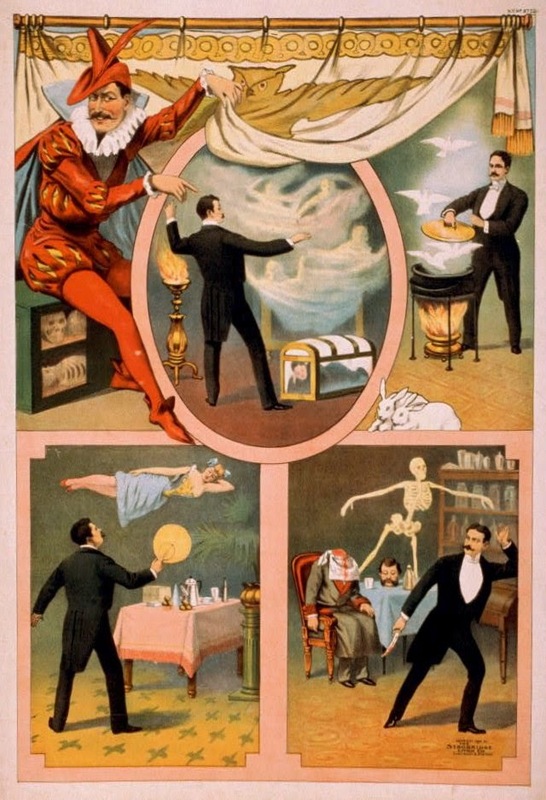 In this poster Zan Zig performs four different illusions; the production of an assistant in a glass trunk, producing live doves from an empty bowl placed over a live flame, levitating his lovely assistant, and a decapitation illusion where the severed head is alive and then reunited with its body. 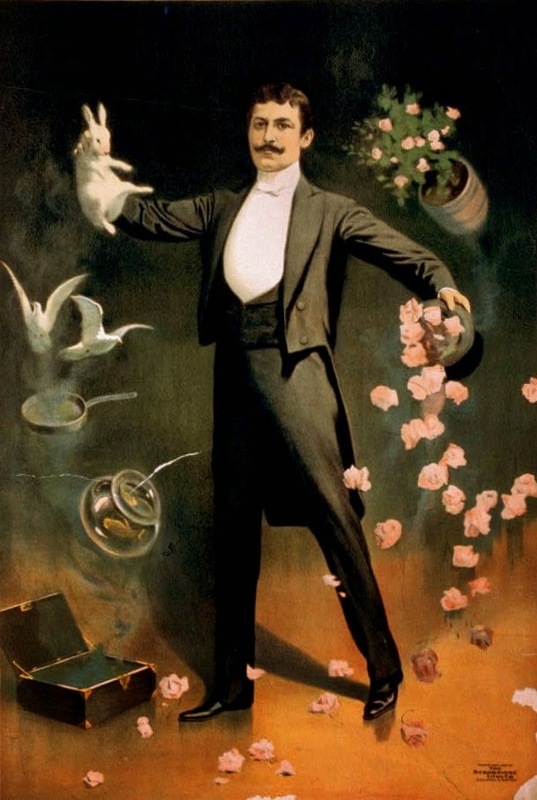 Zan Zig is pictured producing a bowl of goldfish, a chafing dish from which two live doves are produced, a rabbit, a flowering shrub, and a small brass bowl spilling out more pink roses than it can possibly hold, all of this comes out of the suitcase at his feet. Len, I love the illustrations and the magic info. I too imagined myself with a giant turban and yards of chiffon scarves billowing out of god knows what! If you love magicians do check out Le Plus Grand Cabaret Du Monde on youtube. Europe seems to embrace all of the variety acts that don't appear on North American TV.